Special Olympics USA swimmer and one-time silver and two-time bronze medalist at Special Olympics World Games in Shanghai? Check. Participant in Special Olympics World Aquatics Invitational in Puerto Rico? Check. Swam across the Potomac River 4 times? Check. Inspiring Athlete Fundraising Coach? Yes, Jenny Mitchell has done that, too! 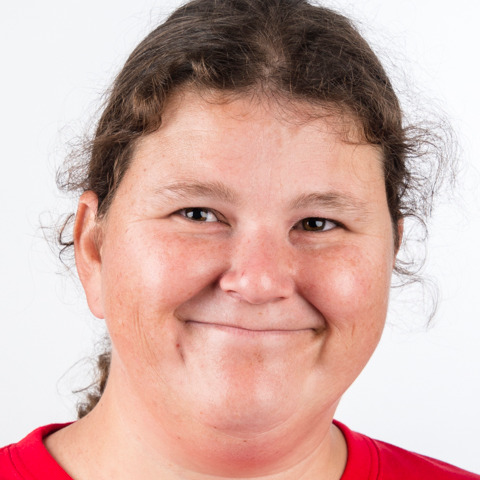 A Special Olympics Virginia athlete for 24 years, Jenny has participated in track, soccer, basketball, triathlon, cross country skiing and swimming. Now she’s training for the world stage in open water swimming. The key to staying on top of her game? Remaining alert and focused – and always celebrating with a smile. "Special Olympics has allowed me to meet people from all over and make friends," she shared. Outside of the water, Jenny enjoys travel, her work, listening to music and the occasional trip to the mall.